The Nieuwpoort Drivers Days at the Belgian Coast is a rather new event. 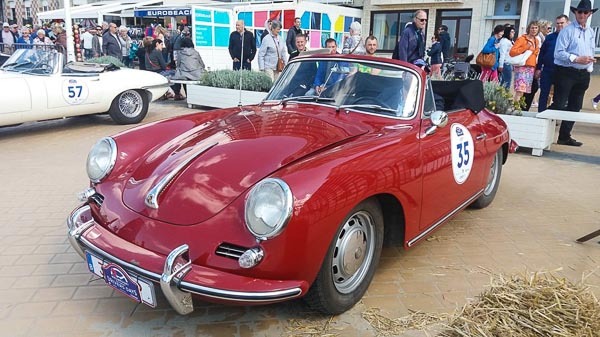 Now in it’s 2nd edition the coastal cities Nieuwpoort and Nieuwpoort Bad hosted a car event. The first day was reserved for 100%electrical cars. Even though we all realize there will be more and more electrical cars on the road in the future, nowadays a rally just with electrical cars may be unique in it’s kind. Sunday was the day the classic cars could hit the road. With the same roadbook as the drivers of the electrical cars the day before, they crossed the lovely region. Co-pilots had a busy day making sure they’re following the right track. Some amazing Porsches showed up at the event. Probably the great weather had lots to do with that. After all, most owners of a Porsche Classic Car don’t like to take their baby out on a wet day. The Mext Racing Team had the Porsche 911 GT3 Cup (991) they’re racing in the 2017 Belcar on display. See you next year, it promises to be as good as this year.